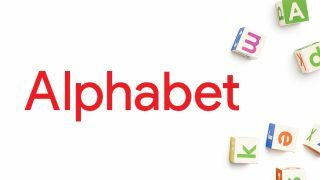 Alphabet's Life Sciences division is set to take on another ambitious challenge - mental health - with news that the director of the National Institute of Mental Health has joined the team. Dr. Thomas Insel served as director of the National Institute of Mental Health for 13 years and will formally step down on November 1, after which he will join the Google Life Sciences (GLS) team. "The GLS mission is about creating technology that can help with earlier detection, better prevention and more effective management of serious health conditions," Dr. Insel said in a statement. While the Life Sciences group has so far delved into the development of technologies to help with physical health conditions, like smart contact lenses and cardiac monitors, it is encouraging to see a large tech company begin to put money behind mental illness research as well. "That the Life Sciences team at Google would establish a major exploration into mental health is by itself a significant statement - recognizing the burden of illness from psychosis, mood disorders, and autism, as well as the opportunity for technology to make a major impact to change the world for the millions affected," Insel said. It's not quite clear if there is a specific area or project related to mental health that Insel will be working on in particular, but he added that he is joining the team to explore how its mission of developing tech for the management, prevention and early detection of health conditions can be applied to mental health.